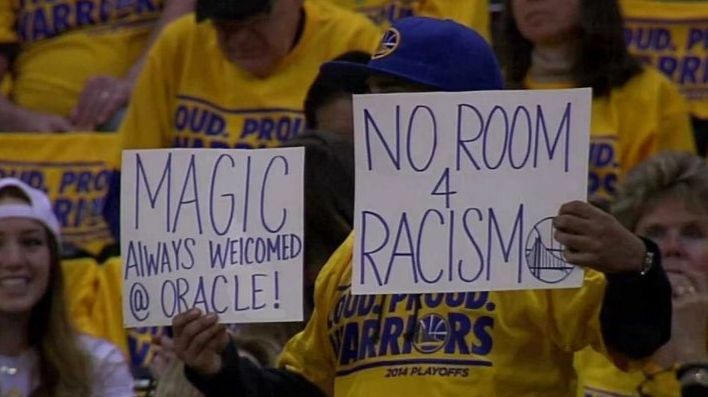 Even though it is the grandest stage of all in the sport of basketball, the National Basketball Association (NBA) has historically faced a multitude of criticisms from all corners, after racism, altercations, brawls and other sorts of controversies have marred it to a great extent. Here is a look at three such instances. On the 25th of April, 2014, TMZ Sports brought out an audio recording of a conversation between Los Angeles Clippers owner Donald Sterling and his mistress V. Stiviano. They allegedly argued regarding a photo she had posted on Instagram in which she posed with Magic Johnson. The recording showed Sterling telling Stiviano that it bothered him a lot that she wanted to broadcast that she was associating with back people. Barack Obama, the erstwhile President of the USA, described the recording as ‘incredibly offensive racist statements’. On 29th April, the NBA, upon confirming the evidence, banned Sterling for life and fined him USD 2.5m. In November 2004, a huge brawl that ensued between the Indiana Pacers and the Detroit Pistons found its way through to the stands and saw the Pacers squad fighting it out with the Pistons fans. Nine players were suspended for a total of 146 games between them. Five players, namely, Ron Artest, Stephen Jackson, David Harrison, Anthony Johnson and Jermaine O’Neal, were slapped with criminal charges for the fight and were sentenced to a year of probation. Five fans who were also charged, were banned from ever attending Pistons games in the future. In 1985, during the league’s inaugural lottery style draft in 1985, rumours of a conspiracy arose that NBA Commissioner David Stern and the league secretly rigged it in such a way that New York Knicks would get the first pick. It was alleged that the envelope with the Knicks had a bent edge, and it was the reason for Knicks drafting Patrick Ewing with the first pick. The controversy resulted in the NBA updating their system to the more modern weighted lottery system in 1990.